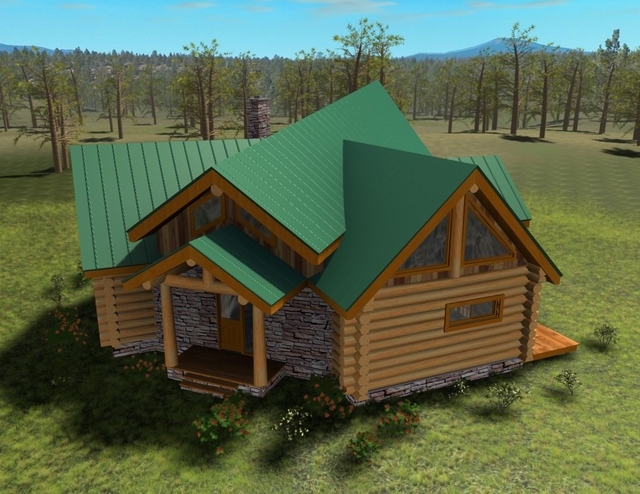 This 3D project is based on our stock plan, The Chinook. 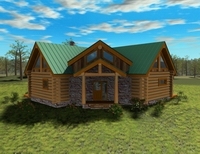 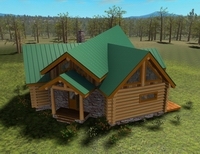 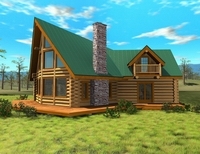 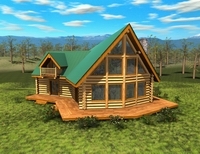 It was modeled and rendered by Log Rhythms Inc. using state of the art technology. 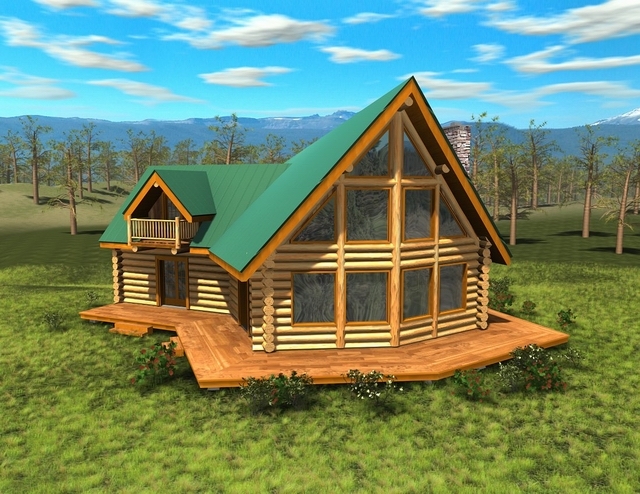 You can have the same produced for your log home design, or visit our 3D Design section to see what we can do for you in-house. 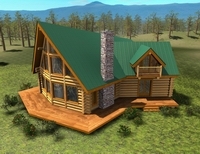 Click on any image for a larger view, or chose the file size you wish to open to view a 3D fly-around of the structure. 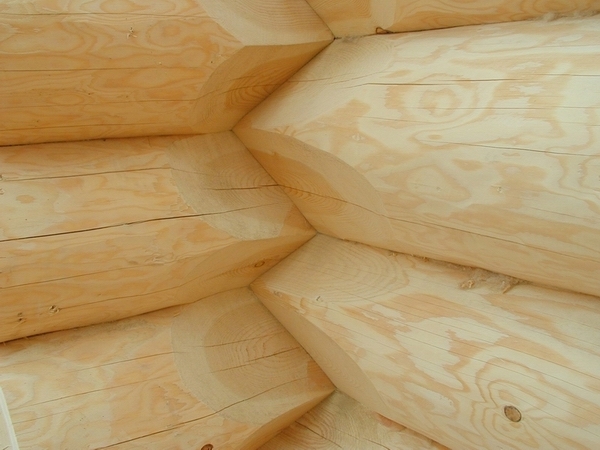 Click to view your choice of the flyaround depending on the size of file you wish to open. 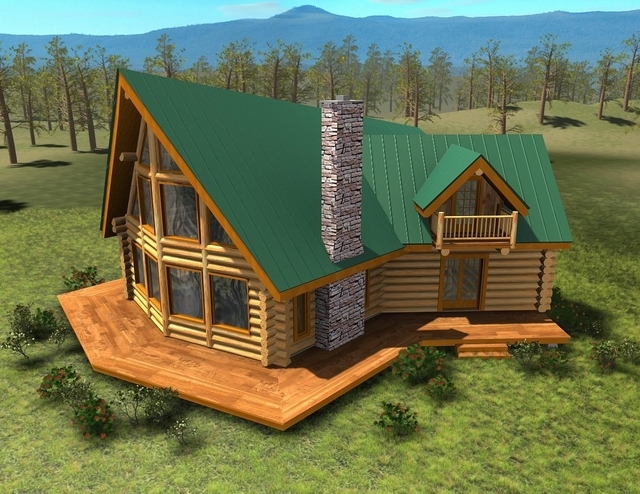 For more information on incorporating 3D elements into your design, please visit our 3D Designs page, or Contact our office directly.